Information is vital to success in golf, as it leads to knowledge. Arguably the most crucial to shooting low scores is knowing accurate yardages. 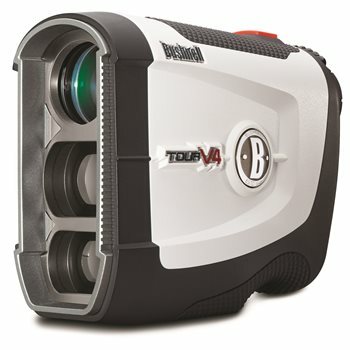 Enter the Tour V4 Patriot Pack Rangefinder from Bushnell. 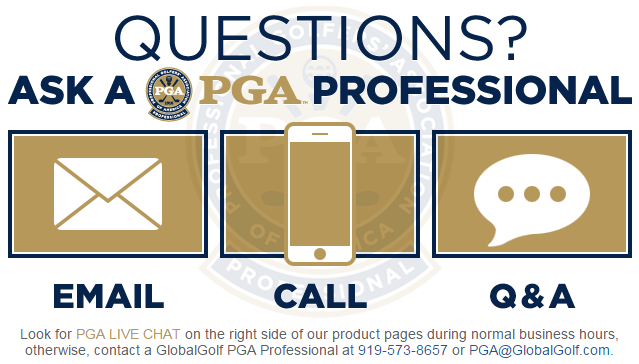 This go-to equipment uses a variety of features that, when applied appropriately, give the golfer the best chance to play well. Who doesn’t love that? Usually aiming at the pin, “Pinseeker” mode makes it easier to focus on what you are aiming at instead on an object that is in the background. “Jolt” technology sends out short vibrating pulses, similar to a cell phone on vibrate when it has locked onto the pin. With this, you know without a doubt you are getting the most accurate reading. The laser has a range of 5-1000 yards and is able to find the pin at 400+ yards. Even with this extended range, it is accurate up to just 1 yard! The 5x magnification and Fast Focus system make finding the flag a breeze! Holding the rangefinder is extremely comfortable with its ergonomic design and “Stabi-Grip” technology. The 2-year warranty and water resistant case make for worry-free use in any type of conditions. The Tour V4 Patriot Pack edition includes a carrying case, silicone protective sleeve, and 3-volt CR2 battery. As the quote at the beginning of the article illustrates, we need knowledge for success in this game. Although this is truer for the average than for the professional, we all benefit. The confidence putting this rangefinder in your bag brings is second-to-none! Providing accurate yardages in a user-friendly design, the Tour V4 finds itself at the head of the class.